Apply online to show your art in our upstairs gallery at Gem City Catfe in the East Dayton Arts District. 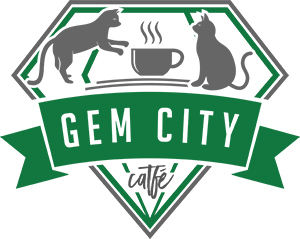 Gem City Catfe seeks to showcase local Dayton artists and highlight the growing East Dayton Arts District. We typically show one artist at a time for a two month period, although we may show two if the mediums are complementary in our 800 sq ft upstairs space. There will also be periodic community shows. Please indicate which type of showing you'd be interested in via the form below, and leave as much information as possible regarding your work. Thank you for your interest! We have received your submission via email and will respond within 48 hours to confirm receipt!